YOU MUST BUY BOTH Beautiful Evening and Full Moon ON THE SAME ORDER TO GET A SIGNED BOOKLET of Beautiful Evening. Limited to the first 100 orders. First-come, first-served and only one autographed copy per customer order allowed. 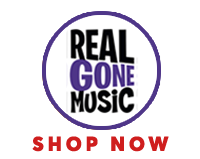 *Both CDs are also available on Amazon, but this SPECIAL SIGNED BOOKLET OFFER is only available on Real Gone Music.